How To Accept Payments via Stripe? One can't continue using the old ways of accepting payment when world is changing at such a pace. Therefore smart businesses have started accepting payments through other ways other than cash as well. RepairDesk iPad App allows you to accept payment via cash, credit/debit card or any other type of payment. 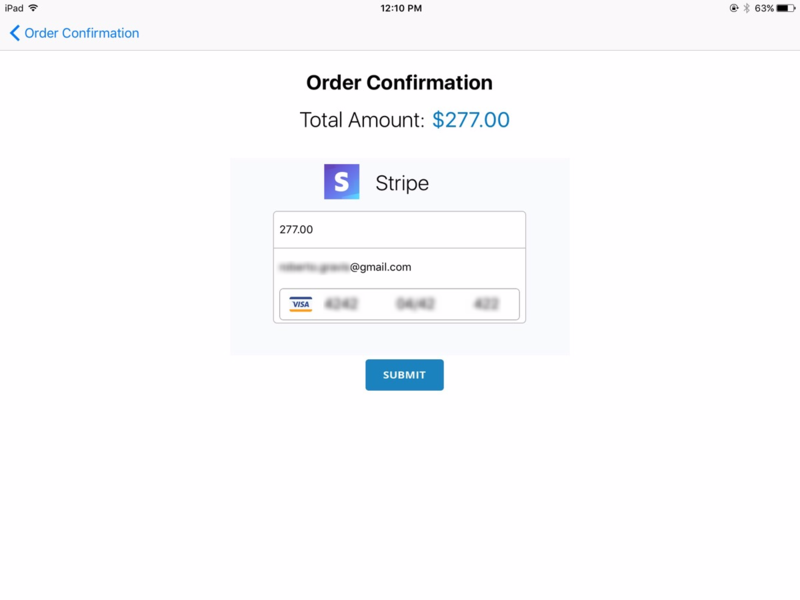 Our app uses Stripe Payment API to turn your iPhone into portable payment processor. Now you can create tickets and invoices using iPad App and also accept cash, credit/ debit card using same iPad. Where most of the people strive to accept payments via cards Stripe tends to make this trouble go away. It accepts payments through any possible way you can name. It keeps all the transaction made by you super safe so the data does not gets misused. It charges 2.9% of the successful payments and charges no monthly or hidden fees. Moreover, it also provides real time reporting so that you always stay updated about all the transactions happening in your store. 1. While checking out you will see the following screen. Tap on Stripe to receive payment via Stripe. Note: Please make sure that you have enabled Stripe Integration on RepairDesk's web app and is listed as one of the payment methods to accept payments via Stripe on RepairDesk iPad App. 2. It will open a new page asking you to enter the payment amount and credit card details. If the details are valid it will proceed on next page. 3. Once you tap on submit it will start the process of confirming and transaction will be complete. Note: You must have Stripe plugged in your store. Please ensure that. 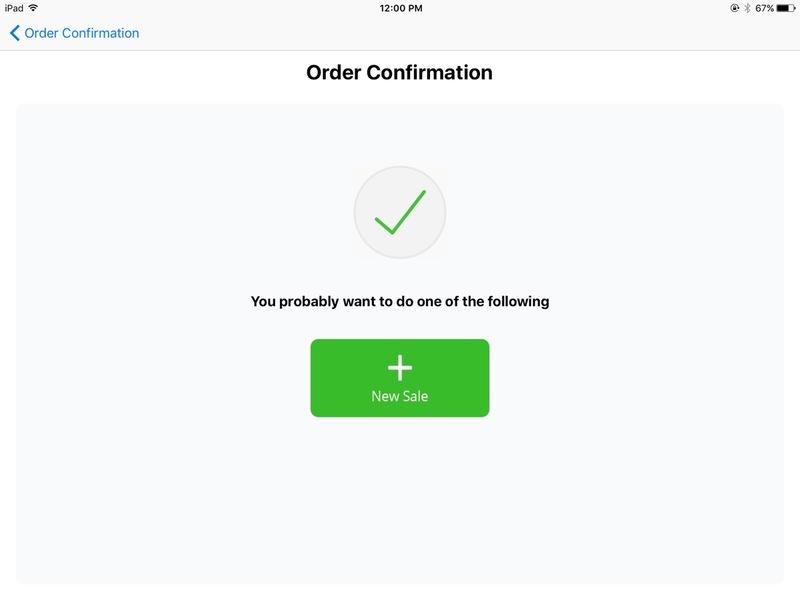 How To Create A Ticket In iPad App? How To Convert A Ticket Into An Invoice via iPad App? How to setup PayPal Here? How To Refund An Invoice Using iPad POS Register? How to Add Customer from RepairDesk iPad POS Register app? How To Take Customer’s Signature in iPad App? How to Search Repairs in iPad App? How to Add Pre-Repair or Post-Repair Conditions in RepairDesk iPad POS Register app? How Switch Store in iPad App? How to Sync Data in iPad App? How to Add Notes in iPad App? 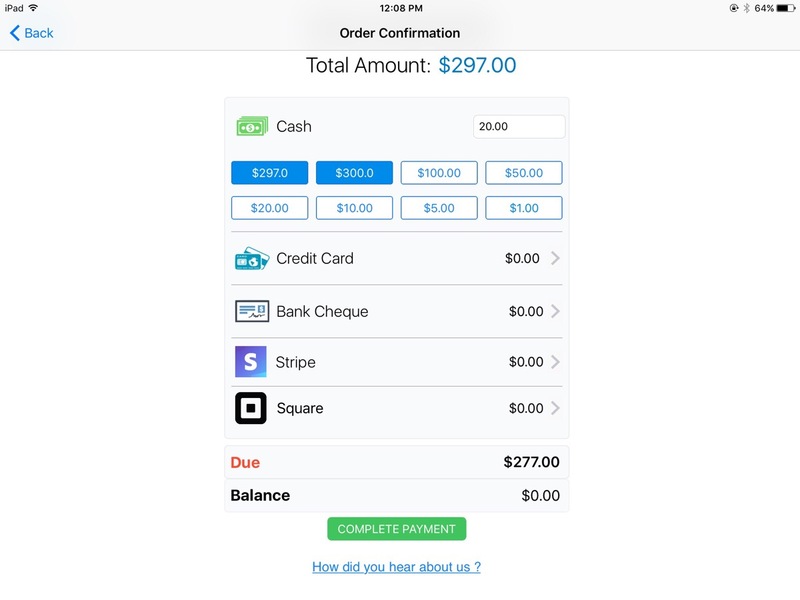 How to Process Payments with Square in iPAD POS Register? Square Deep Integration and RepairDesk iPad POS Register? How To Start and End Shift in iPad App? How to Setup Star TSP 100 (LAN) Printer for RepairDesk iPad POS Register? How Can I Edit and Update Ticket Using RepairDesk iPad POS Register App? Can I update QTY, Item Price, Tax Class or offer line item Discount Using RepairDesk iPad POS Register App? How to Setup and Use Cash Drawer Functionality in RepairDesk iPad POS Register App? How to process payments using iZettle in RepairDesk iPad POS Register? How to change Tabs List View in iPad POS Register? How to setup Inventory Valuation and Inventory Adjustment Methods on iPad? How to take print using Google Cloud Print and Print Node through RepairDesk iPad POS Register app? Which POS triggers are replicated from web on iPad POS Register App? How to Setup EPSON Printer for RepairDesk iPad POS Register? How To Setup Customer Facing Display on iPad POS Register App?